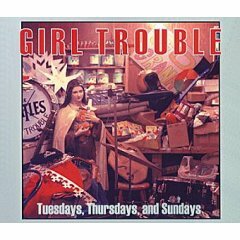 Girl Trouble first hit the stage in 1984 and soon signed to Olympia's K Records, making their vinyl debut in 1987 with two singles "Riverbed" and "Old Time Religion". Sub-Pop Records released their first full-length album, Hit It or Quit It, a year later. 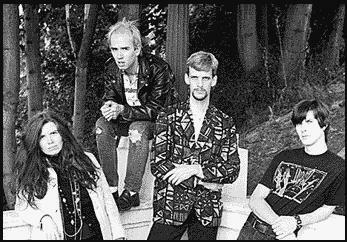 One of their tracks, "Gonna Find A Cave", also showed up on the Sub Pop 200 compilation, which included tracks from many Pacific Northwest bands set to break out, including Nirvana and Soundgarden. Known for taking their time between releases, they call themselves the "slowest working band in showbiz"...but certainly one with longevity. 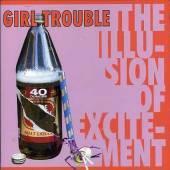 The Story of Girl Trouble as told on their MySpace Page...In 1964 Bon met Kahuna, her brother. Later, in 1983, Kahuna took up the guitar he'd built in high school shop class. Bon bought a little drumset from the Sears surplus store. They began to play together in an old shed located next to their parents house. Kahuna played one string and Bon played pretty much as she does today. School friend, Dale Phillips, decided to come over and play his fake Fender bass. The new trio practiced for a few months until they decided it would be a lot easier on everyone if somebody else could sing. They looked through all the possibilities and noticed that K.P. Kendall was taking over as self-appointed Master of Ceremonies at every party they attended. This was exactly the frontman they needed to keep everybody entertained while Kahuna changed broken guitar strings. 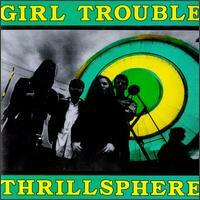 TWENTY-THREE YEARS LATER...the same four people are Girl Trouble. After tons of releases on as many indie labels; shows in every punk dive in the Northwest; tours of the US, Canada and Europe; and publication of the fanzine Wig Out, their long climb on the stairway to stardom is not over yet...at least thats what they think! Meet them now or meet them later, eventually youll have to meet them. 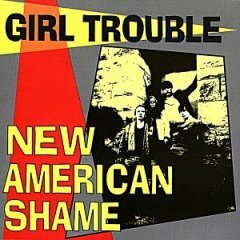 As Girl Trouble says, Our friends are on major labels. We are on medication. For more information, please stop by the official website listed here. The first track from their second full album was written by Shel Silverstein. Click To Buy It! The project kicks off with a tribute song to the band's hometown of Tacoma. Click To Buy it! How Can I Be Out When I Ain't Been In? It'd been five years since their last full-length project. Click To Buy It!